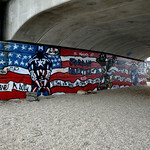 The village of Sag Harbor on Long Island’s south shore is a popular destination for motorcycle riders to pass through. With it’s quaint main street America feel and windmill chamber of commerce, Sag Harbor has an interesting mix of upscale restaurants, a beautiful vintage cinema and a fabulous five and dime variety store. 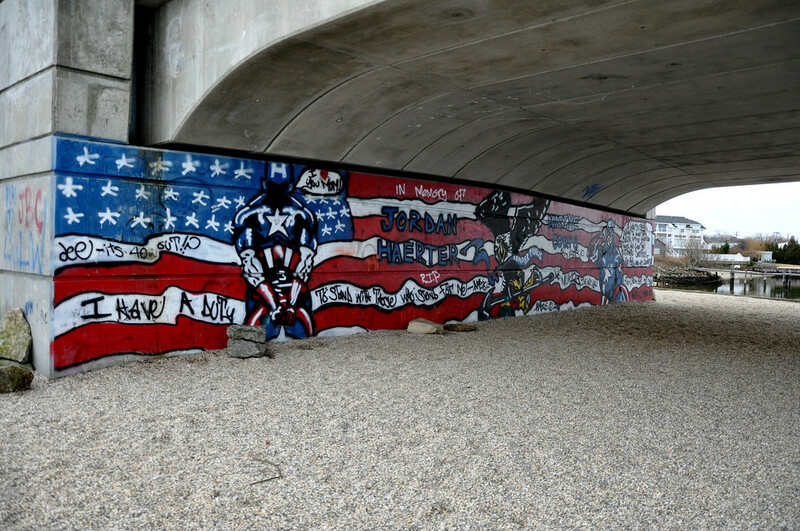 What Sag Harbor also has often goes unseen by many who aren’t looking for it. 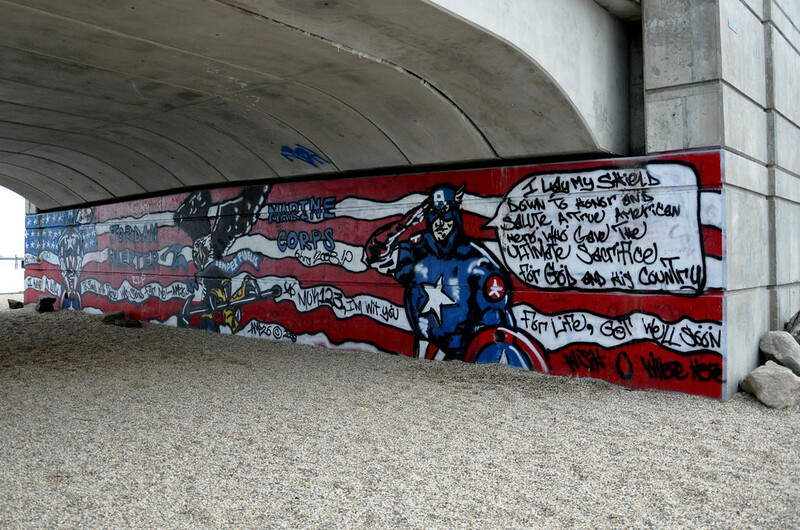 Many visitors to the town pass atop the Lance Corporal Jordan Haerter Veterans Memorial Bridge without knowing that the bridge has a “not-so” secret below it’s deck. 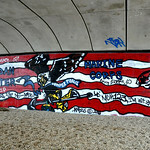 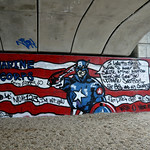 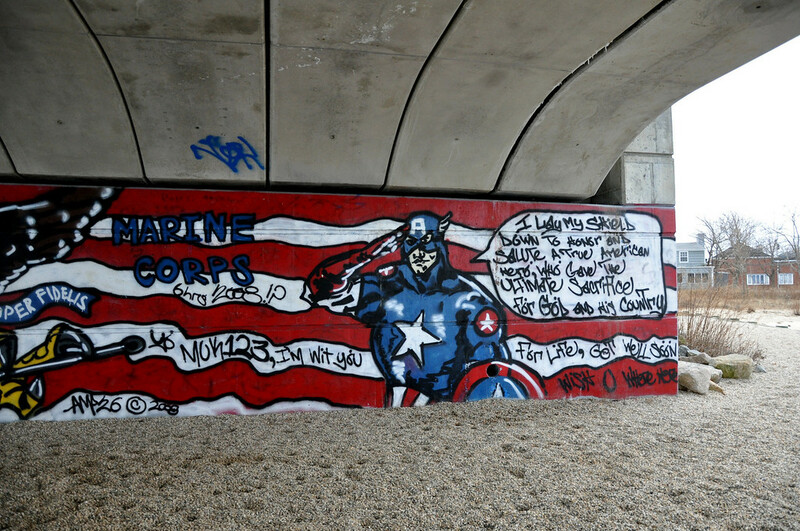 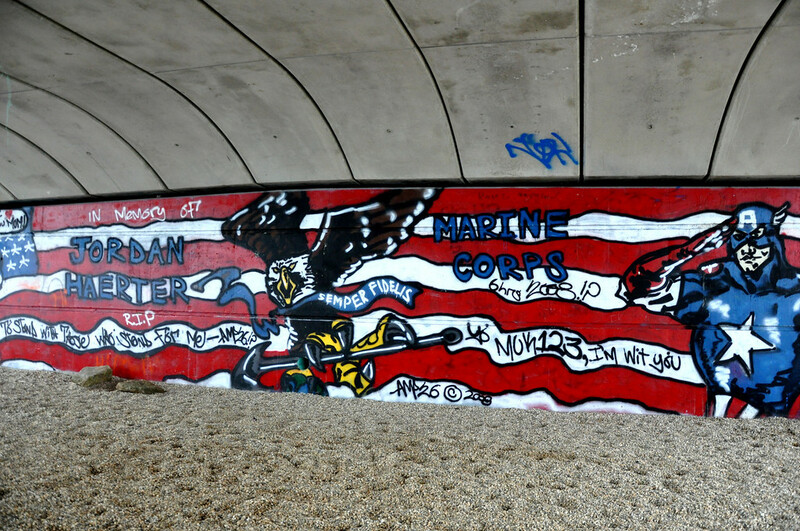 Underneath the bridge is a touching graffiti mural tribute to 19 year old Lance Corporal Jordan Haerter who was killed in the line of duty while in Iraq.